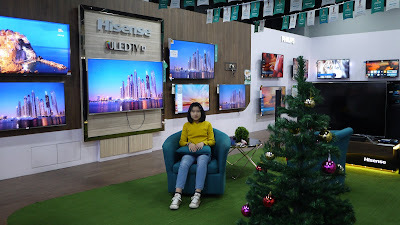 As we are moving into a new house soon, we are busy looking for electrical from home appliances to home entertainment systems recently. 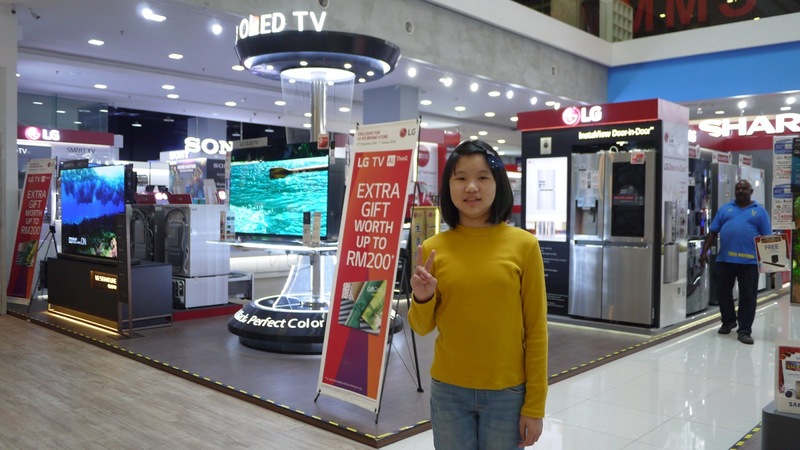 We have did some research before we visited the electrical shops, we found that a lot of people are saying that they have good experience at Desa Home Theatre Sdn Bhd before. 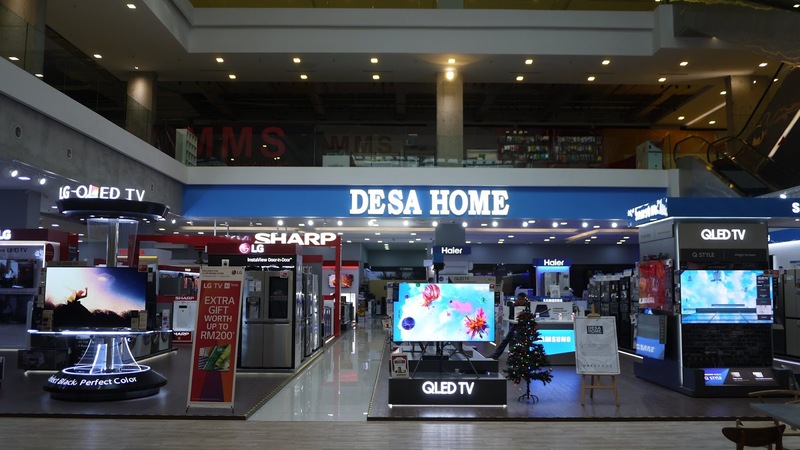 Hence we made a visit to Desa Home Theatre Sdn Bhd’s second branch on the ground floor of One Space, The Square, One City. Desa Home One City's branch is very huge and well organised. Occupies a 1,394sq m space, we can find home entertainment systems including audiovisual products, TVs, entertainment and karaoke systems, and home appliances such as refrigerators, washing machines and cooking appliances here. The showrooms has a ‘shop in shop’ concept by brands such as Electrolux, Haier, Hisense, LG, Philips, Pioneer, Samsung, Sharp, Sony and Toshiba. 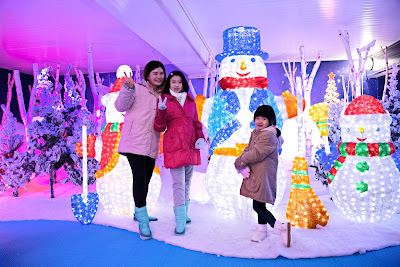 Hence it is easy for us consumer to browse through each and every of our favourite brands here. We are spoil for choices here at Desa Home. 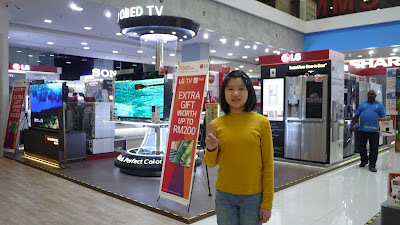 It is certainly one of the biggest electrical store that we have visited in Malaysia. Besides, the prices are really affordable and valuable. 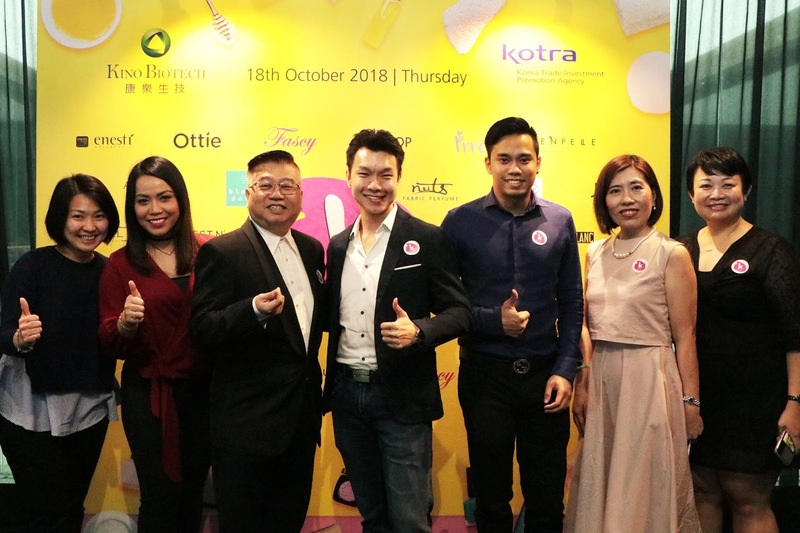 Kino Biotech Malaysia has launched a new e-store called K Glam that sells exclusive Korean beauty products, riding on the waves of the Korean fever that has struck Malaysia. 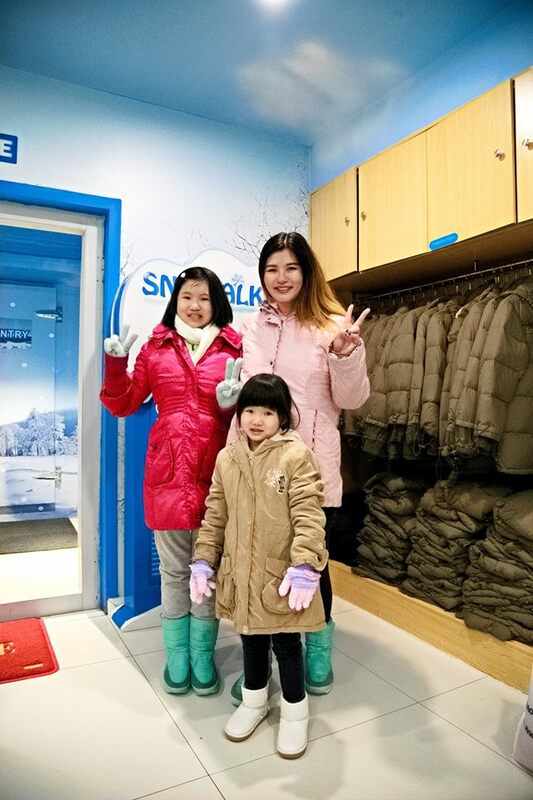 K Glam is created to serve e-shoppers and give them the confidence to shop worry-free as it only carries authentic and genuine beauty brands from South Korea. 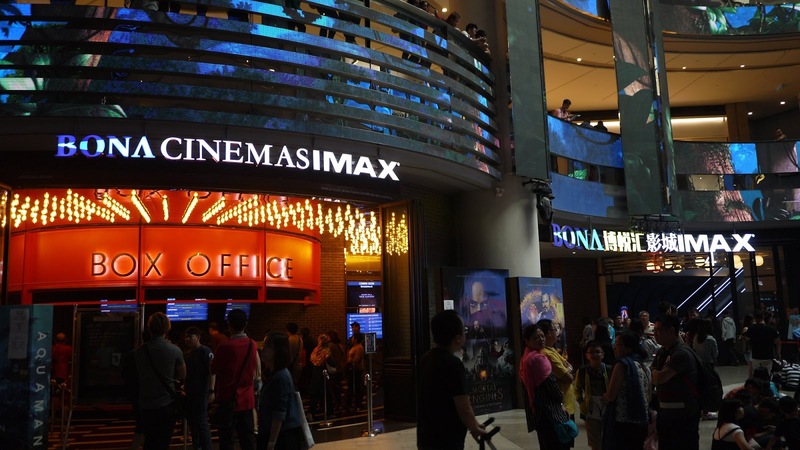 Kino Biotech Malaysia has worked closely together with Kotra Kuala Lumpur (a South Korean government agency for trade and investment promotion) to source for authentic products and to promote the brands in Malaysia. Among those who were present at the launch were Kino Biotech Malaysia executive director Marcus Chong, chief operating officer Jennifer Chin, sales and marketing assistant general manager Winnie Pok alongside Kotra Kuala Lumpur directors Steve Yeon and Lee Jusang. Building on this success, Oil Garden is proud to announce the launch of their first Organic Skincare range. A range of six organic skincare products that are pure, natural and effective, harnessing the power of essential oils. 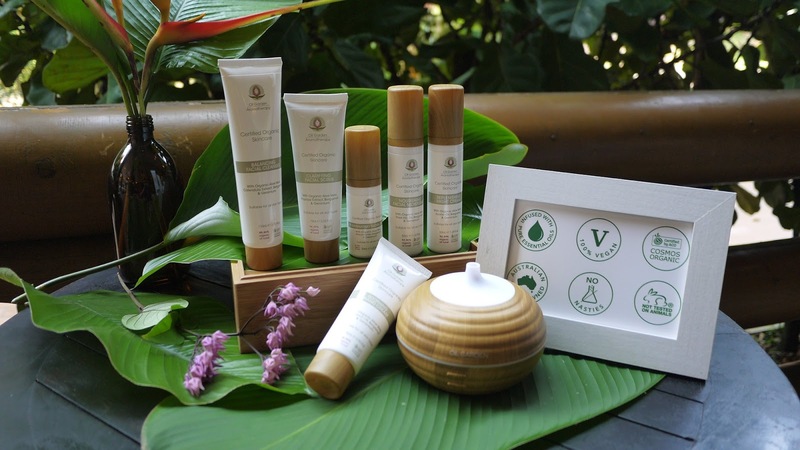 The Oil Garden certified organic skincare range is suitable for all ages and even those with sensitive skin. 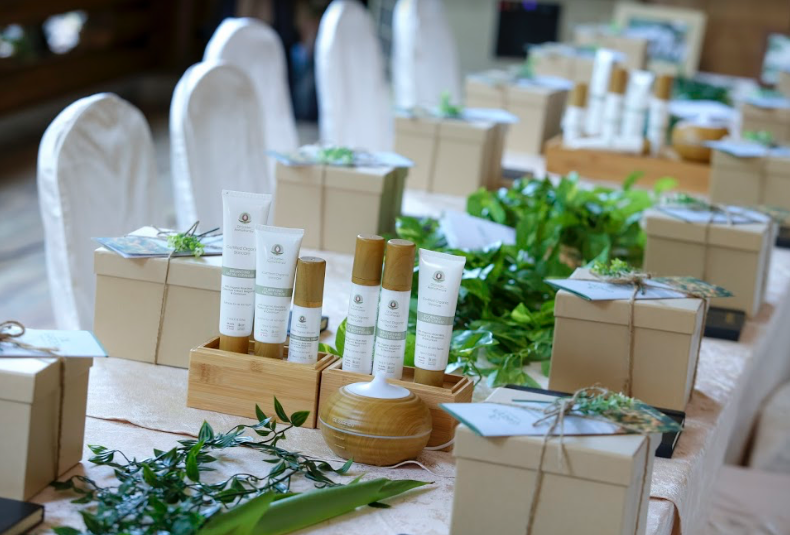 We are honoured to be the first few to try out Oil Garden Certified Organic Australian Skincare range at Guardian Malaysia Wellness retreat. 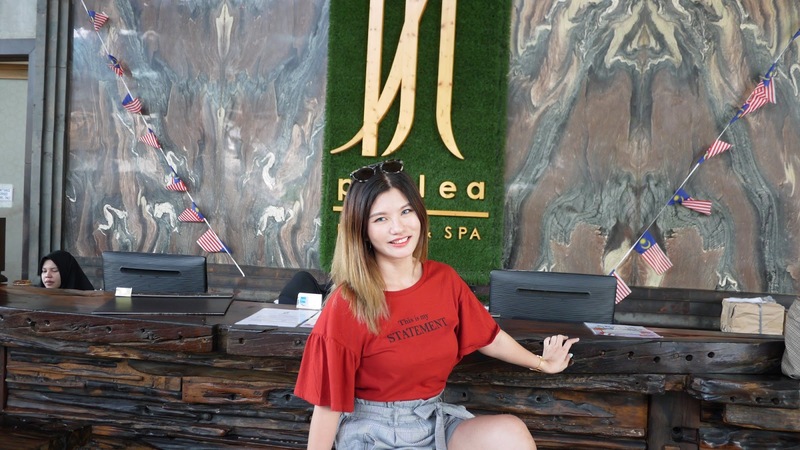 Global Marketing Manager of Oil Garden, the beautiful Claire Tapp has purposely made her trip from Australia to Philea Melaka just to meet us and share with us more about Oil Garden. I have a good news for Korean beauty lovers, Korea’s award-winning skincare and beauty brand, Aprilskin has landed our shores! The Korea’s 3rd Generation Beauty brand, Aprilskin is now available in Malaysia on the shelves exclusively at selected Guardians stores. Coveted for its overall effectiveness in giving natural, dewy and radiant complexions, the accessibility of the brand in Malaysia shores ends the hassle of searching for these sought-after products online for k-beauty and skincare enthusiast. 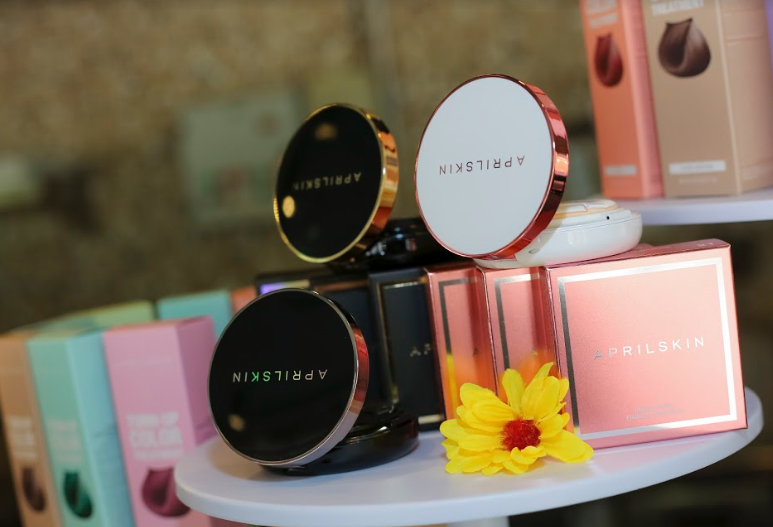 Founded in 2014, Aprilskin has gained popularity and built up loyal followings shortly after with the launch of Signature Soap Original, a deep cleansing natural soap, leading the 3rd Generation KBeauty wave in and outside of Korea. The brand gained its international fame with its products formulated with nature’s good ingredients to restore skin’s natural radiant glow. 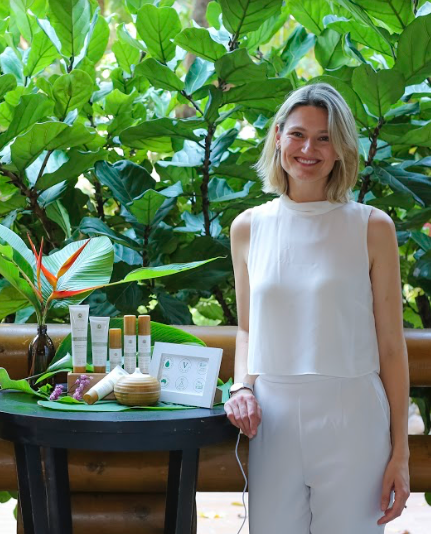 We were honoured to become the first few ones to try out Aprilskin in Malaysia during the Guardian Malaysia Wellness Retreat. 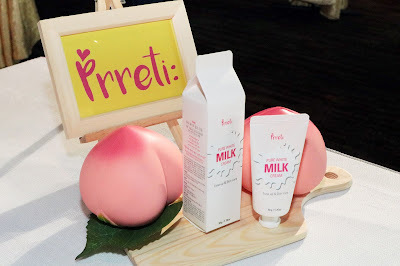 I was attracted to Aprilskin's beautiful colored packaging at first. 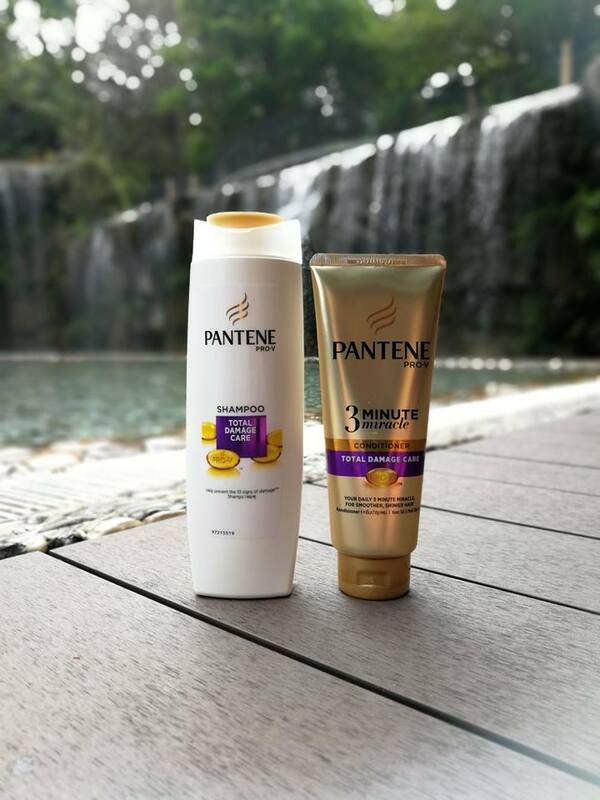 “We noticed the love for our products from beauty communities in the Malaysia market. And we are very excited with the expansion to Malaysia through Guardian to strengthen our customer experience and provide easier access of our products to Malaysians.” quotes Ms. Sena Kang, Executive Director of Aprilskin’s Global Business Department. Congratulations to Guardian Malaysia for celebrating its 51st anniversary this year. In conjunction with this big milestone, Guardian Malaysia has organised it's first ever Wellness Retreat at Philea Resort & Spa, Melaka sometime ago. I was honoured to be one of the invited media to participate the Guardian Malaysia's Wellness Retreat. We departed at Guardian Malaysia's HQ at Shah Alam on the lovely morning and check-in to the beautiful Philea Resort & Spa at Ayer Keroh, Melaka on the afternoon. 1. Hair flashback with Pantene & BioEssence. 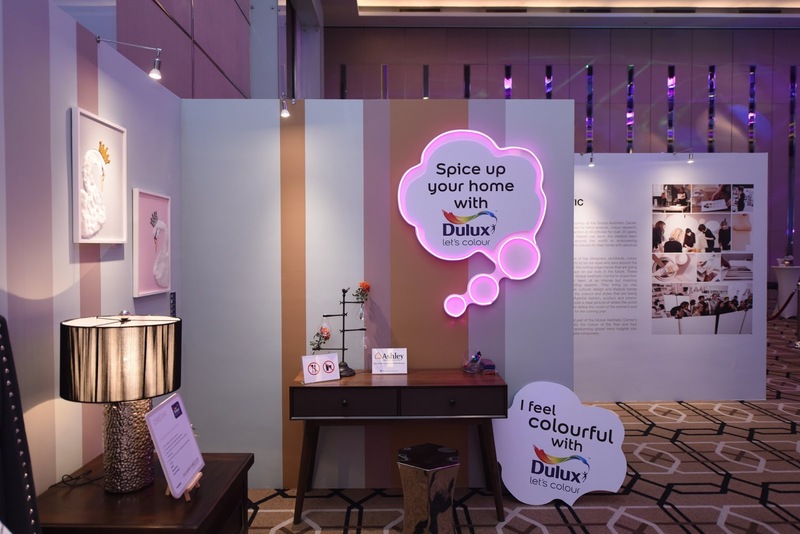 Spiced Honey (also known as Creme Brulee 00YY 26/220) has been unveiled by AkzoNobel’s Dulux brand as the Colour of the Year for 2019 (COTY19), following expert research into global trends, insights and consumer behaviours. Perfectly capturing this year’s theme, “let the light in”, the warm amber tone is versatile and contemporary, and complements a wide variety of life and interior styles. It expresses the new sense of optimism felt throughout our global trend research. 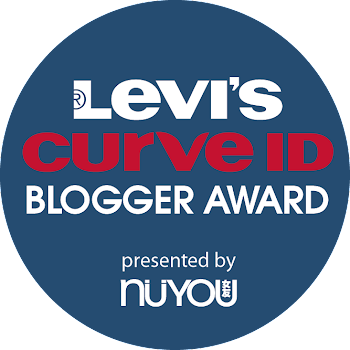 Top design professionals from all over the world are invited each year to come together to capture the mood of the moment. “Last year, many of us were left unsettled by global events, so we closed our doors to retreat and regroup,” continued Heleen van Gent. “Now we feel ready to open our windows and let the light in. Our trend research shows that people around the world are experiencing a renewed sense of energy, optimism and purpose. We want to reach out, engage with others and to make things better. Spiced Honey reflects those desires – it’s a colour that can be calming or nourishing, stimulating and energizing, depending on the light and colours surrounding it. A good sleep is necessary for good health, and what's better to get a beauty sleep and wake up with gorgeous skin? Thanks to the creation of overnight mask with the power to actually make our skin look better by morning. 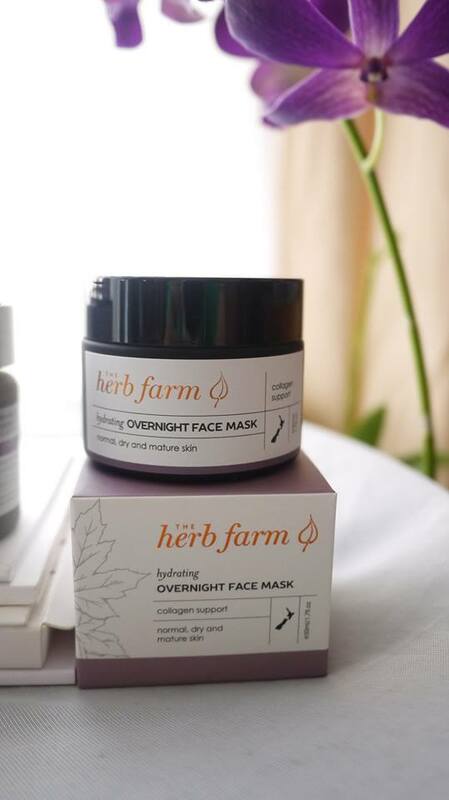 The Herb Farm has launched its Overnight Mask not too long ago. We are fortunate to get it from TNS Skin Lab here in Malaysia too. 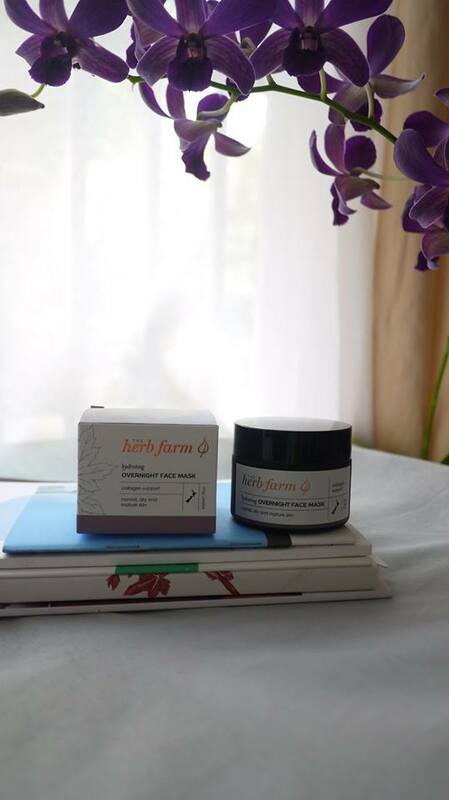 Origin from New Zealand, The Herb Farm uses traditional herb knowledge with latest innovations with 100% natural products. Of course, it has no parabens, SLS, GMO, artificial colours/fragrances, silicones, and all those nasties we read about. We can be asured of the products' quality of The Herb Farm. 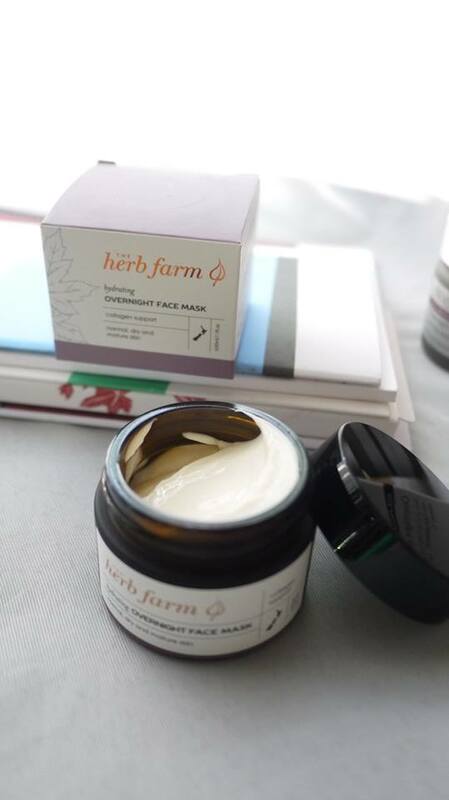 The Herb Farm Overnight Mask is a creamy face mask that deeply hydrates overnight so you wake up to soft, radiant and nourished skin. Powerful natural extracts help to prevent moisture loss and provide collagen support as your skin repairs while you sleep. Borealine® Expert is scientifically proven to help minimise the appearance of fine lines and wrinkles. Peony extract is a powerful antioxidant and promotes repair and rejuvenation for soft, smooth skin. Evening Primrose Oil contains omegas and GLA (gamma linoleic acid) which skin requires to stay supple and smooth. GLA helps to trap moisture and prevents water from disappearing from the surface of the skin. Verdict? I like the light and smooth texture of The Herb Farm Overnight Mask. It smells relaxing(thanks to the peony extract) that made me feel good to fall in-sleep with. I am glad that my skin absorb all of the benefits of this natural skincare while I sleep, and I wake up in the morning with smooth and nourished skin. I can feel the difference because I sleep in dry air-conditioning room which made my skin dry and tight in the morning without using this mask. 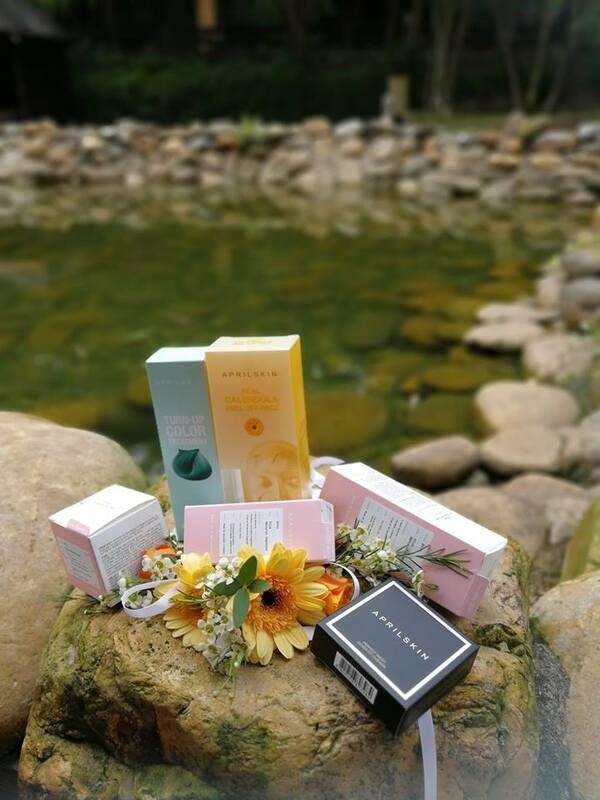 Natural skincare lovers would be familiar with TNS Skin Lab, the Malaysia's leading independent natural and organic beauty importer and retailer that has brought many natural brands into the Malaysian market such as Antipodes, Trilogy, Aubrey, A’kin, Suntegrity, The Herb Farm, Oxygen, Scented Space and many others. 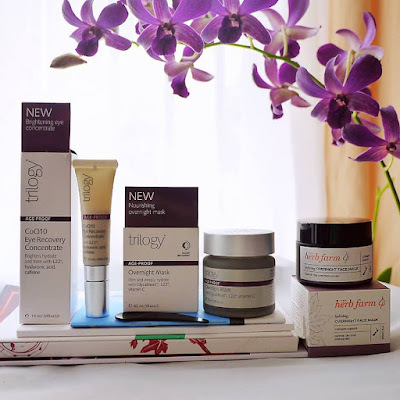 TNS Skin Lab has continued to bring us the latest skincare products over the years. I am honored to give some of them a try recently. The first two products are from Trilogy. Origin from New Zealand, Trilogy has an international reputation for producing ethical, sustainable, high-performance natural skincare products. Even Kate Middleton uses Trilogy rosehip oil for a flawless complexion. This time, I have given the newly launched Trilogy Age-Proof CoQ10 Eye Concentrate and Trilogy Age-Proof Overnight Mask a try. We all know that eye is the window of the soul, it is also the thinnest skin area that can easily exposed our age. Hence, I am concern on a good eye care since I stepped into my 30's. I have tried a lot of eye care products and Trilogy Age-Proof CoQ10 Eye Concentrate is by far the best one I've tried. 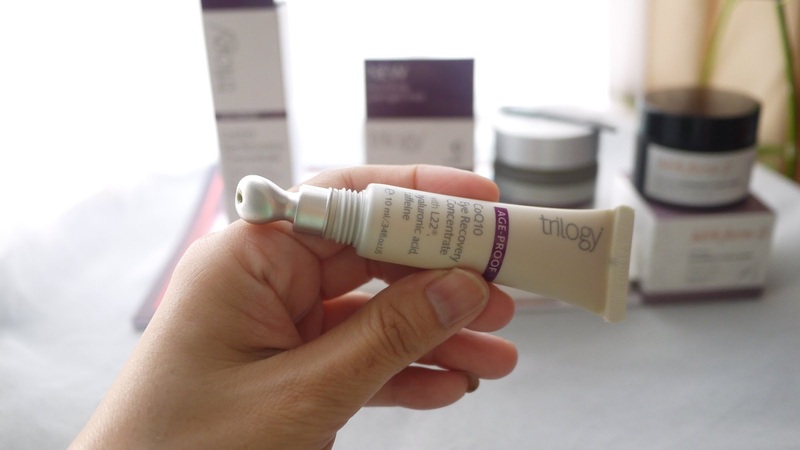 Trilogy has reformulated their Age-Proof CoQ10 Eye Recovery Concentrate to includes jojoba derived super-ingredient L22® which mimics the lipid profile of your skin at 22 to support a firmer, more youthful appearance. Potent botanical complex Glycablend™ is proven to reduce collagen breakdown, while caffeine from coffee extract helps brighten and increase microcirculation for dark circles. Also with hydrating hyaluronic acid and CoQ10 to strengthen the delicate skin around the eye. 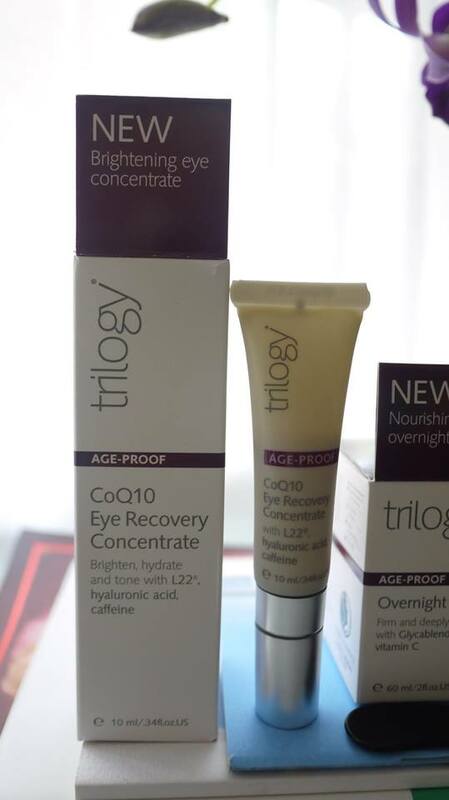 We like that Trilogy Age-Proof CoQ10 Eye Recovery Concentrate comes with a cooling metal applicator to reduce puffiness. It is also easy to use, just gently sweep applicator across under-eye area and tap excess with fingers. The eye concentrate in silky texture made it easy to absorb into the skin. I like the soothing sensation when apply it. As a parents, I am thankful to many creations that help parents ease our job. One of it is diaper pants. It is convenient and easy to use. Diaper pants is on our baby all day long, every day and night, more than any other garment. So nothing is more important than how it feels against your baby's skin. Baby skin is delicate hence it needs extra protection and care. Keeping babies' skin dry and comfortable is essential to raise a happy and healthy baby. 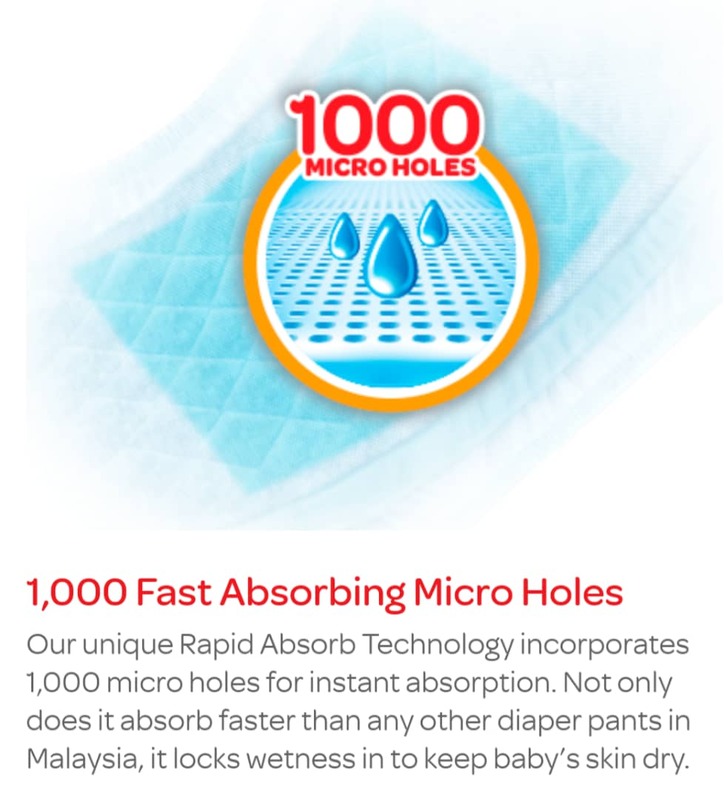 Lucky we have the New Rapid Absorb Huggies® Dry Pants that absorb wetness instantly. 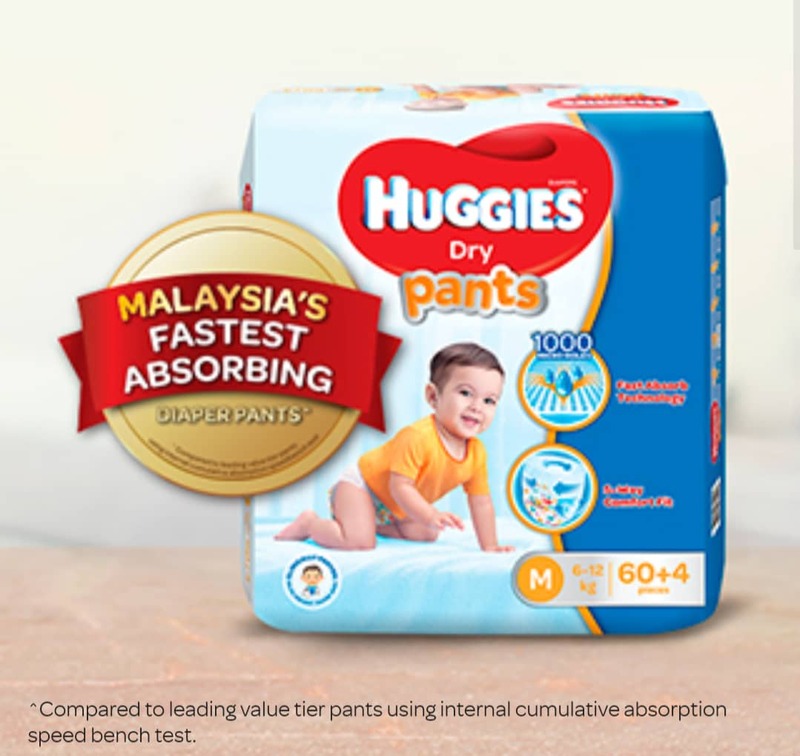 As Malaysia's Fastest Absorbing Diaper Pants, Huggies® Dry Pants has 1000 Fast absorbing Micro Holes locks in wetness and keeps baby dry. 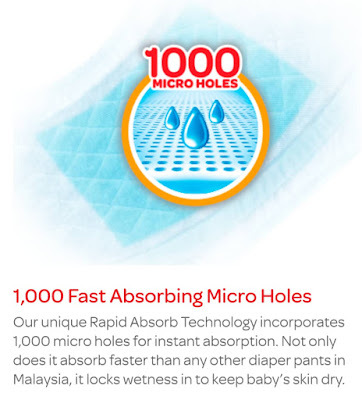 Huggies®'s unique Rapid Absorb Technology incorporates 1,000 micro holes for instant absorption. Not only does it absorb faster than any other diaper pants in Malaysia, it locks wetness in to keep baby’s skin dry, yay! 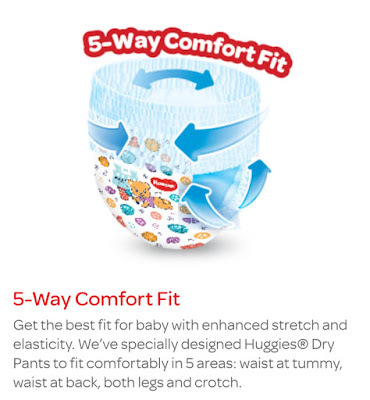 Besides, Huggies® Dry Pants come with 5-way comfort fit, enhanced stretch and elasticity. Get the best fit for baby with enhanced stretch and elasticity. They have specially designed Huggies® Dry Pants to fit comfortably in 5 areas: waist at tummy, waist at back, both legs and crotch. Jungle Jam, a brand new and original Computer-Generated Animation or CG, as is known in the trade, premiered this evening at SkyAvenue at Resorts World Genting through the SkySymphony show. The show was created by Genting Malaysia’s CG animation entertainment company, Genting Studios, incorporated to deliver premium and world class content in CG animation productions. 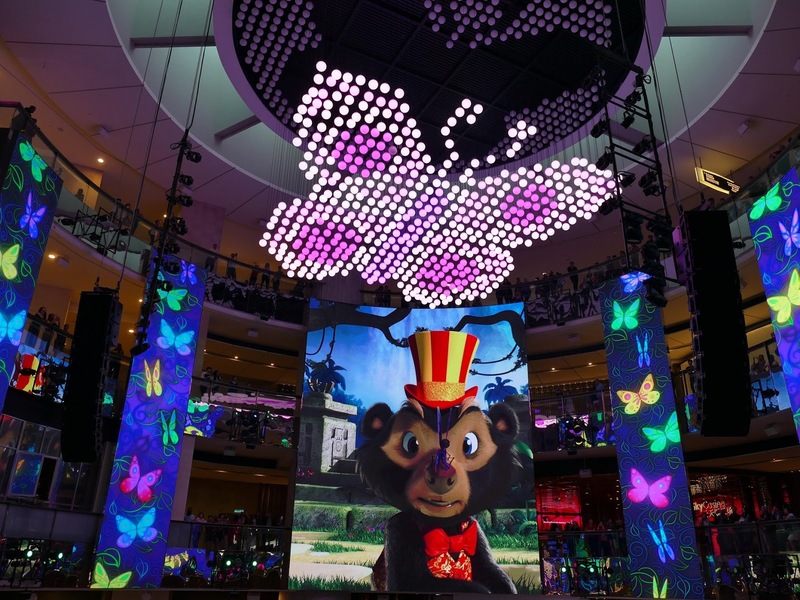 Dato’ Edward Holloway, Executive Vice President of Leisure and Hospitality of Resorts World Genting said, “SkySymphony has been very successful and popular with our visitors who come up to see Asia’s largest permanent kinetic light, audio and visual installation. We’re very excited and proud to introduce another original content to our visitors, yet again, during the year end school holidays due to the positive response of our previous shows. This magnificent production will be a visual treat to our visitors which totalled an estimated 25 million in 2018. “We are thrilled to announce the premiere of our Highlands Heroes. We’ve kept the show colourful and fun and the relationship between all the different characters sends a positive message about friendship. Hopefully, it will also garner an interest of the environment amongst them through the portrayal of the animals and the jungle,” added Dato’ Edward. 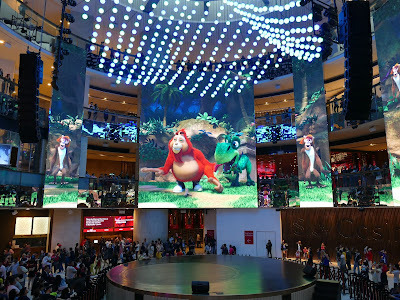 Jungle Jam will be staged at SkySymphony, where four-story high LED screens surrounding the concourse will come alive with the new musical show, complemented by the state-of-the-art 1,001 winch balls that synchronize and move to form different shapes, from colourful vines to jungle creatures to create a truly immersive audio-visual experience. Other shows include Ocean Groove with Maestro Ning, Urban Symphony Forest and The Goddess. Netflix and Volvo have also used SkySymphony as an alternate means to traditional advertising. The exciting experience of watching a cinematic masterpiece 6,000 feet above sea level has just gotten a huge adrenaline boost. 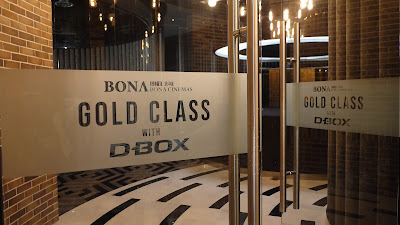 Bona Cinemas in Resorts World Genting introduced two new experiences that will allow audiences to immerse themselves even further inside the thrilling realm of motion pictures, adding IMAX and Gold Class with D-BOX halls to its gilded cineplex in the heart of SkyAvenue mall from 1 December 2018. Since its opening, Bona Cinemas has proven to be incredibly successful, offering guests the opportunity to watch hit movies in Mandarin, Cantonese, English, Korean and Thai in plush comfort with cutting-edge audio-visual technology. 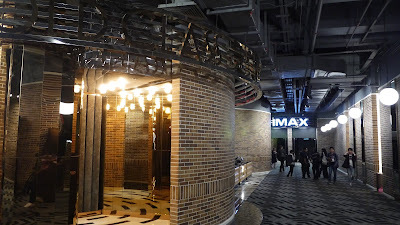 The addition of IMAX and Gold Class with D-BOX adds more feathers to Bona Cinemas’ cap. 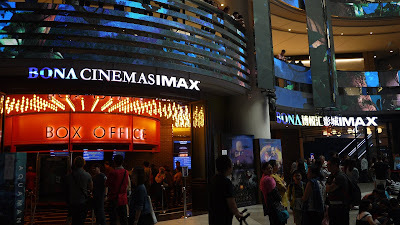 IMAX technology, derived from the words Image Maximum, is widely considered the gold standard in motion picture immersion, able to capture images of greater size and resolution to bring even the smallest of details and sounds to life with a visceral punch. 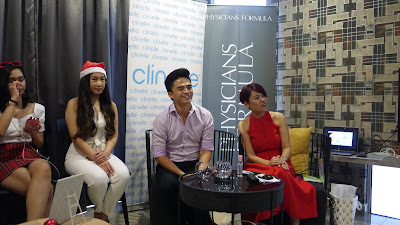 Christmas is around the corner, Physicians Formula and Clinelle have organised a X'mas Beauty Retreat for the media and beauty bloggers at Tiara Residence, Selayang last Friday. 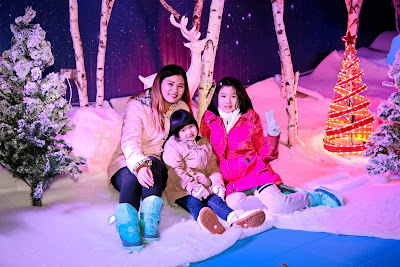 It was a chilly evening but we had a fun time exploring the latest products from Physicians Formula and Clinelle. Let's start from the skin care. Clinelle has launched their Peeling Pad & Refining Masks, which are the perfect combination to promote skin’s natural recovery function. The concentrated treatment using a peeling pad to effectively exfoliate dead skin, makeup residues and other impurities will improve absorption of subsequent ingredients in skincare; while the refining masks in various functions help rejuvenate skin for visible glow! 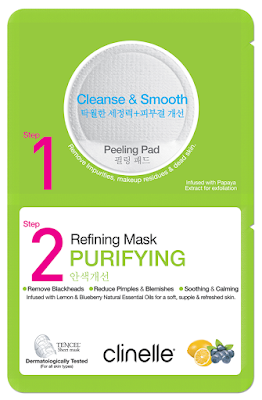 “Having both steps in a convenient pouch makes it easy to pamper yourself anytime anywhere. It is no longer an excuse for not having the perfect skin for an occasion, bring them along for travelling too! 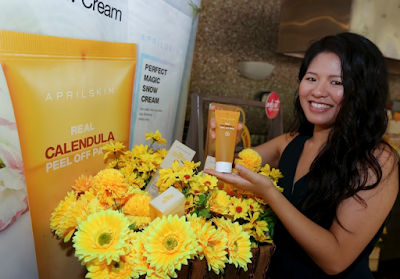 Just pick the right combination based on your skin needs and start a quick fix to revitalize your skin,” said Ella Chen, Clinelle Brand Ambassador. 1. PEELING PAD – To cleanse and smooth. Infused with Papaya Extract for exfoliation. Gently remove dead cells and reduce the appearance of skin imperfection. Calling all tea lovers, now we have a new choice of olive leaf tea blends. 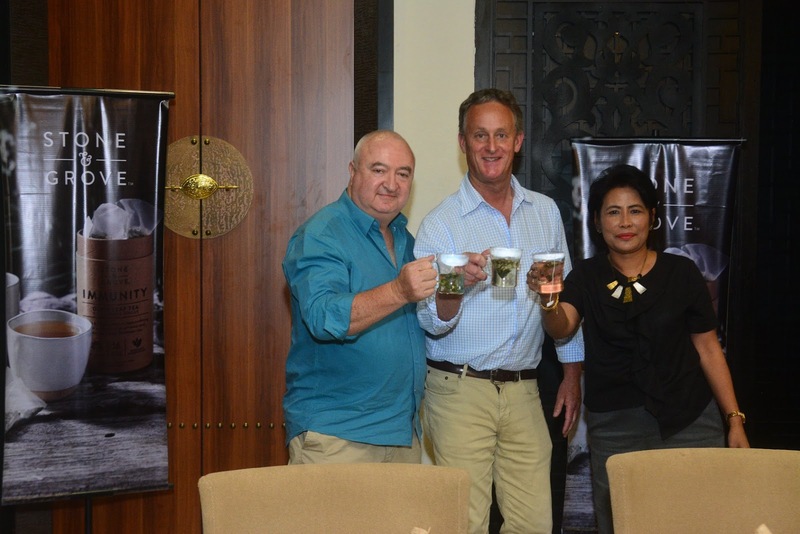 Thanks to Nano Xan Sdn Bhd, the exclusive importer and distributor for Stone & Grove in Malaysia for bringing us Malaysians a fusion of a HEALTHY CUP OF TEA and a PREFEERED LIFESTYLE CHOICE. The grand launch of Stone & Grove was held on a lovely noon at Mamanda, TPC Kuala Lumpur. Celebrities and media were invited to witness the moment and to be the first few to try out the Olive tea. “We’re experienced when it comes to olives. Our job is to share that with people who aren’t. 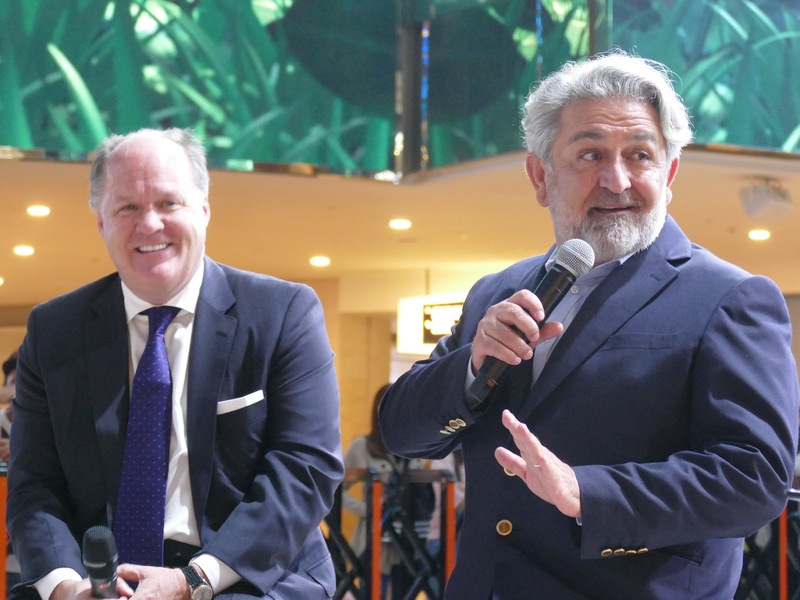 And make the introduction with our expertise and enthusiasm,” says Mr. Andrew Burgess, Business Development Manager, Boundary Bend Wellness during the launch. "We’ve known about the benefits of olives for centuries. So, we thought it was time to put the kettle on. 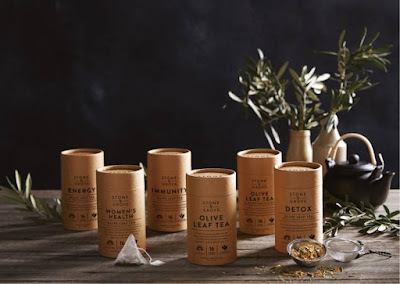 Stone & Grove is the latest brand from Boundary Bend Wellness, a subsidiary of Boundary Bend Limited, Australia’s biggest olive farmers and owners of Australia's leading Extra Virgin Olive Oil Brand Red Island. So, you could say we know a thing or two about olives and their goodness." Mr. Andrew Burgess continued. 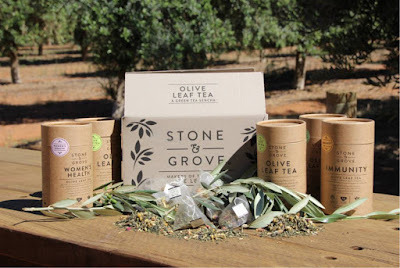 There is a range of six brand new olive leaf tea blends from Stone & Grove. Something the team has been working on for a while. They include a traditional Olive Leaf Tea, an Olive Leaf and Green Tea Sencha blend, Energy, Immunity, Women’s Health, and Detox - perfect for this time of year (after indulging in too much food and beverage). Our preference is the Detox and Women's Health. Early this year, an independent digital mobile service was launched here in Malaysia. Owned and operated by Celcom Axiata Berhad, Yoodo offers the country’s first truly customisable mobile service, with complete transparency, flexibility and customer convenience. 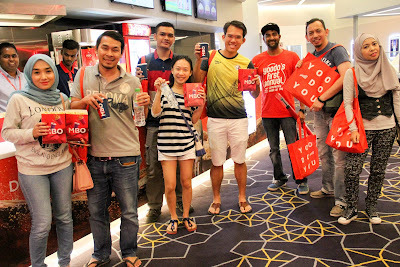 Since then, more and more people have subscribed to Yoodo and become a 'Yoodoers'. 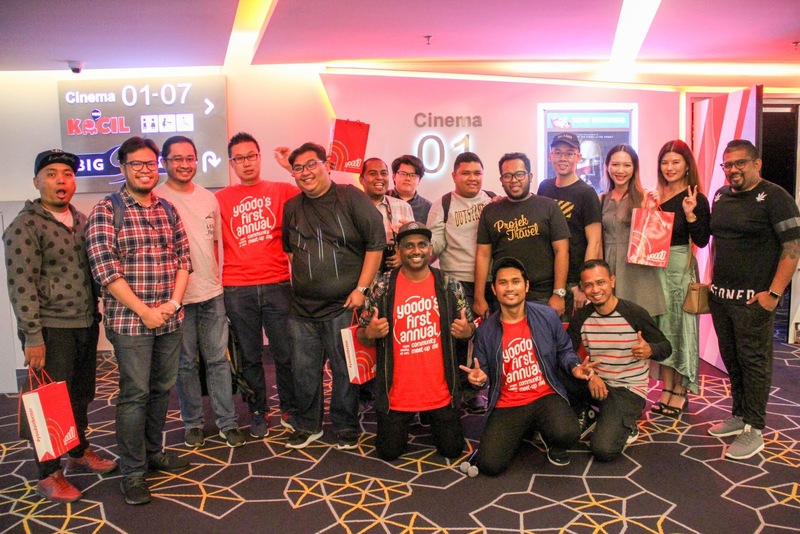 On 8th December 2018, Yoodo holds its first ever community day as the brand nears its one-year anniversary since its launch. 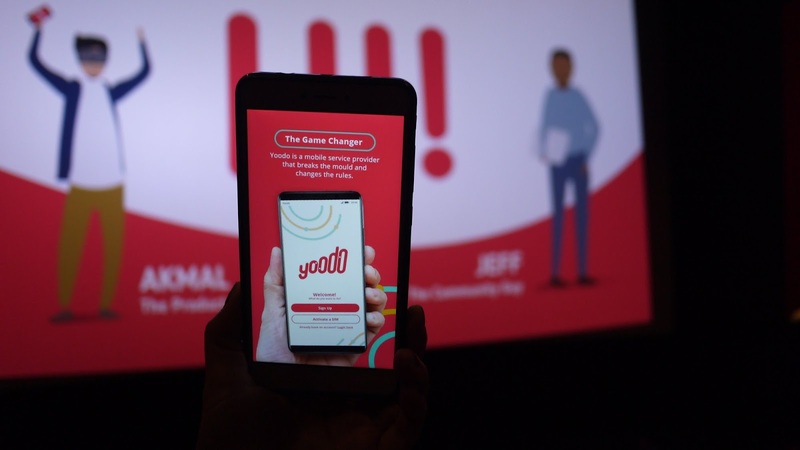 The community day was an opportunity to celebrate and thank their Yoodo subscribers also known as Yoodoers for their tremendous support and engagement over the past year. Yoodo’s online community was formed when it was launched January this year. In comparison to other telcos, Yoodo believes they have the most thriving online community achieving close to 200,000 users visiting the platform and receiving 2 million community post views. “The idea behind the online community is to encourage and allow customers to share their experiences of Yoodo and provide support to other customers. It is a place where they can share their feedback, thoughts and tips on the service. When we first started out, the Yoodo team worked tirelessly to respond to most of the inquiries coming in. But now, when a customer posts a question to the community, they will most likely receive a reply in less than half an hour from another customer, not a Yoodo representative,” shared Jeff, Yoodo’s Community Guy, who is responsible for regulating the online platform. I know many of us are looking for skincare products to combat the sign of aging, prevent wrinkles and look youthful. 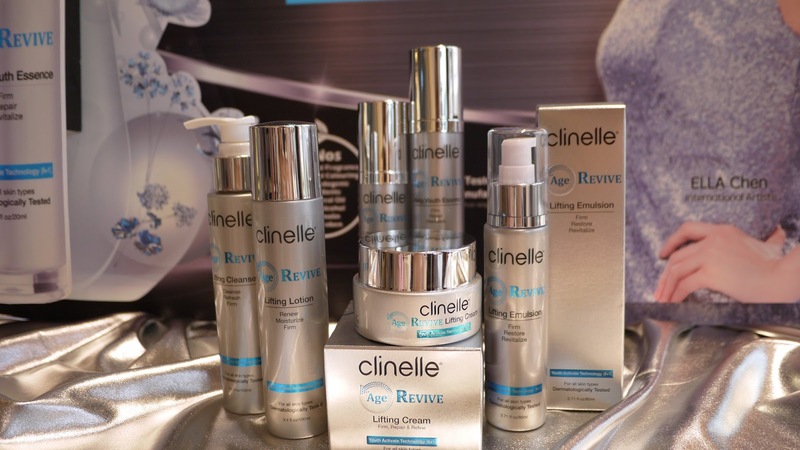 Thanks to the research, Clinelle is honoured to unveil the next breakthrough in anti-aging – Clinelle AGE REVIVE anti-aging skincare range. With the blend of NATURE and SCIENCE to treat every sign of maturing skin to create a lifted, firmer and more contoured look. Age Revive is packed with proven anti-agers that addresses everything from fine lines, wrinkles, dryness, uneven skin tone, rough skin to sagging and volume loss. 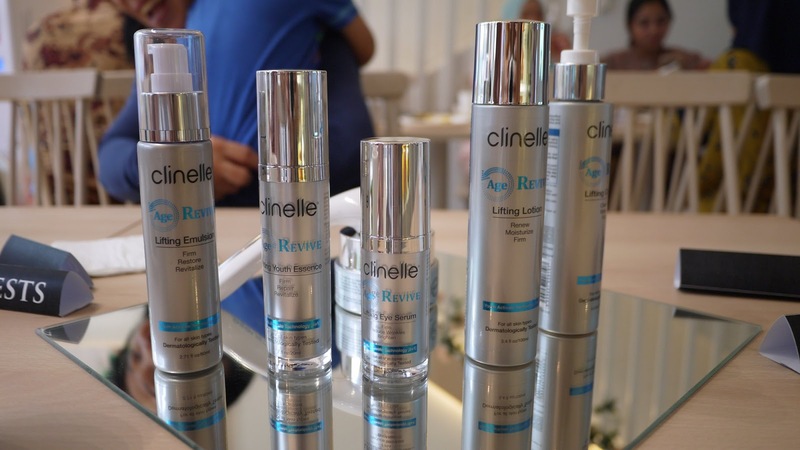 Expertly formulated with potent anti-aging ingredients, the Clinelle AGE REVIVE is powered with Advanced Smart Delivery System to enhance the efficacy of active ingredients and provide greater and more efficient skin penetration into the skin. 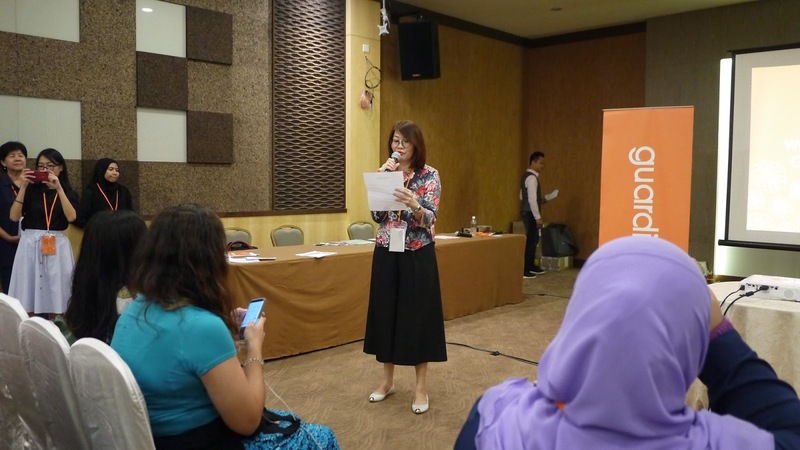 According to Ms Corina Lee, Senior General Manager of EIG Pharma Asia (M) Sdn Bhd “We have developed a line of advanced anti-aging skincare to reactivate your skin’s youthfulness and slow down skin aging. 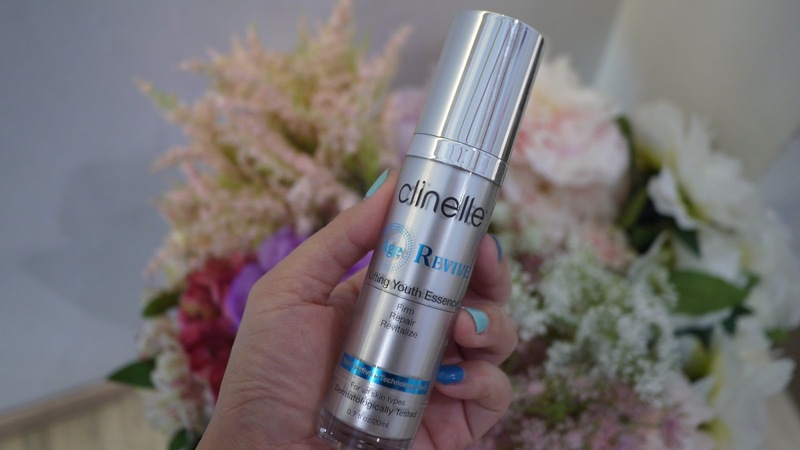 Clinelle AGE REVIVE is the most advanced anti-aging range developed by Clinelle by far where, visible firming & lifting effects are noticeable upon 1st application. All ingredients formulated are integrated with RX3 Action to repair, refine and reshield to help skin perform at its maximum potential”. Celebrity ELLA CHEN, the face of Clinelle since 2014 shared: “When people ask me about my secret to good looking skin, I will always tell them to try Clinelle. 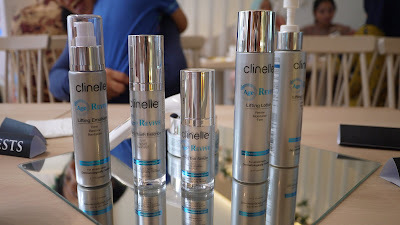 I love Clinelle especially the new Age Revive that incorporate advanced technology with healthy, natural ingredients to deliver fast and visible results yet gentle on the skin. To me, Clinelle Age Revive is my right choice of skincare and the products suit my skin needs well. Every fortnight, the Goddess Gang is summoned to Saro Lounge to for an intimate escape with their fellow Goddesses. 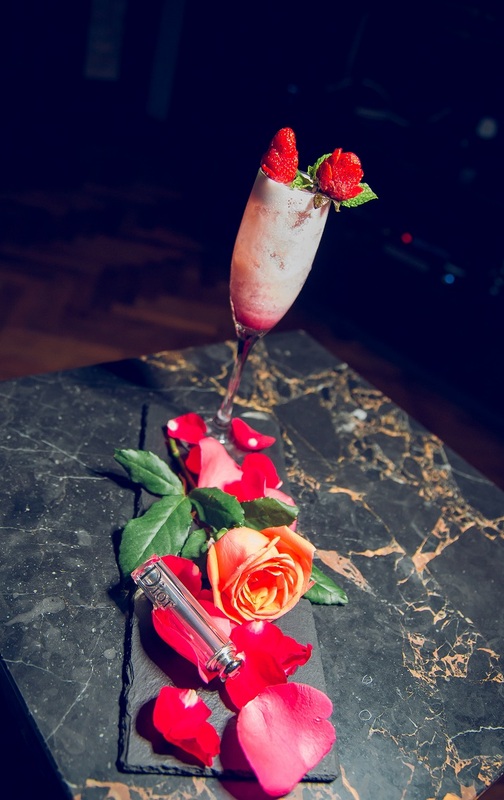 Whether you’re dealing with a high-powered job all day, balancing a family or just need a night of pleasure and pampering, Goddess Gang Night at Pavilion Elite’s latest hidden gem will have you looking divine as you relax and enjoy special treats and professional beauty treatments which will leave you feeling better than new. As they make their entrance, the Goddess Gang are always welcomed with typical Saro hospitality with the Lounge’s unique takes on vodka cranberry and gin tonic flowing free for ladies starting from 9pm. Starting at 10pm the goddesses can avail themselves of various rotating beauty treatments which include professional manicures, make-up treatments and even get their hair done-up in Greek Goddess fashion. 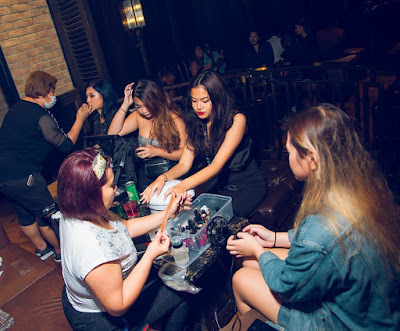 On select occasions, regular patrons of the Goddess Gang Nights are greeted with an exclusive pamper platter which comprises a specially concocted welcome cocktail, confectionaries and lip gloss from high-end brands like KKW, Dior and Huda Beauty to start off the night. Nestled on the 8th floor of Pavilion Elite, Saro Lounge is an open secret shared by the city’s eclectic mix of patrons. Whether you’re looking for a unique experience with your closest friends, or a place to catch up with your colleagues after work, Saro offers an exquisite setting for any occasion. 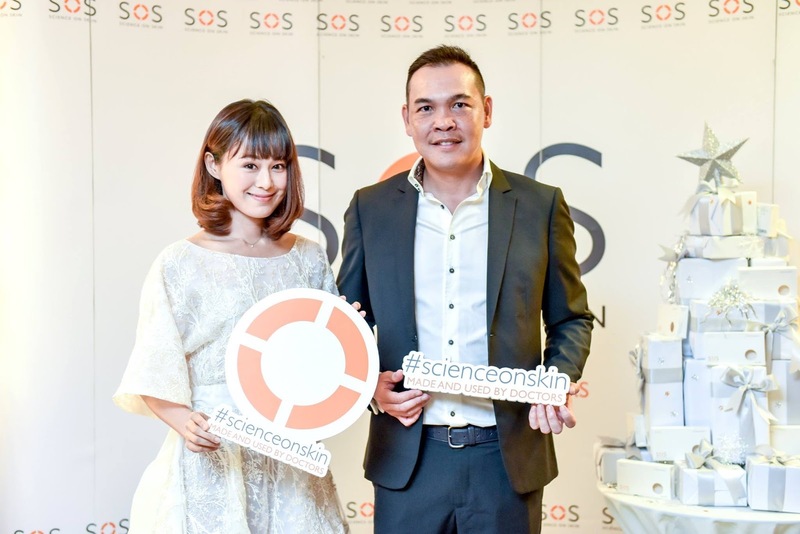 Established in 2016, SCIENCE ON SKIN (SOS) is a skincare brand that marries the innovative science of skincare with the delicate art of beauty into a streamlined range of treatment products. Specially formulated for all skin types, the SOS product range comprises the Cleanse+, Acne+ and Multivitamins+ and UV Porcelain+. Made and trusted by Doctors, SOS products differ from other over-the-counter beauty products, as its dermatologist-developed formulations boast of higher concentration of active ingredients that deliver multiple benefits to treat, rejuvenate and protect the skin from free radicals. 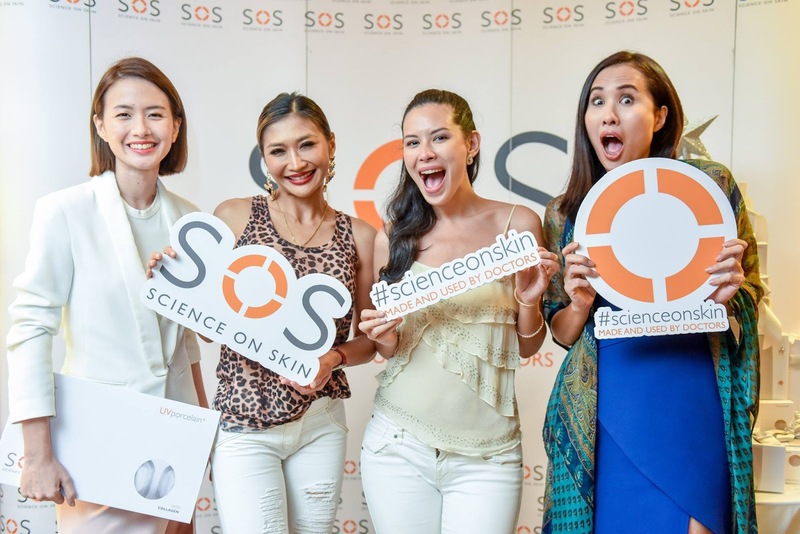 This year, SOS Skincare officially launched the new, revolutionary 'inner sunblock' skincare supplement, SOS UV Porcelain+. 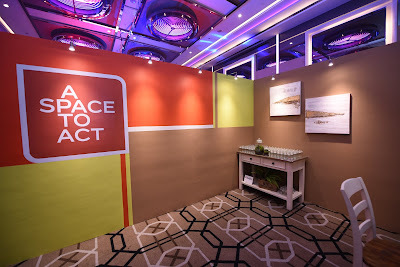 The launch was held during a Doctor's conference event held in Westin Kuala Lumpur. "While beautiful skin begins with applying proper skin care, the best way to start is from within. Feed your skin with this natural sunblock and brightening booster, and you will see results in as little as 3 weeks," said Mr. Wilson Goh, Managing Director of SOS Skincare.